Michael Lacey first came to Crystal Palace's attention almost 20 years ago when he agreed to coach at his daughter's school and led the team to glory in the Croydon Area Cup. 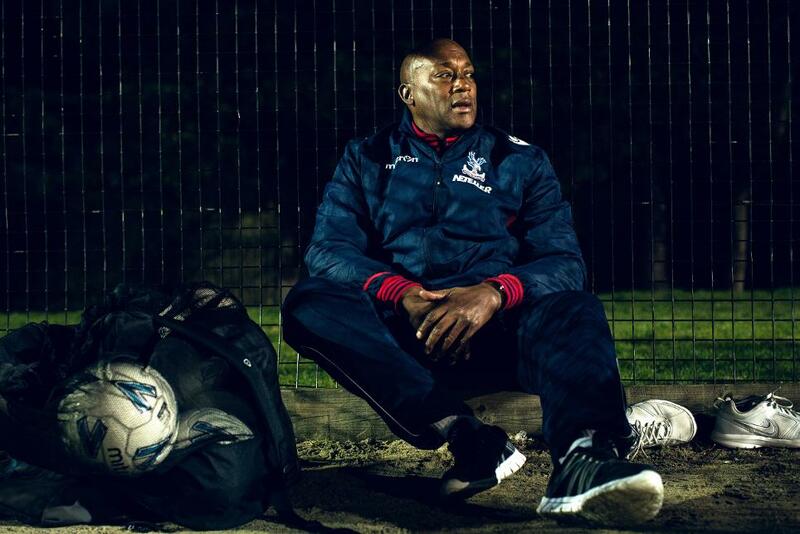 Before long he was helping the Crystal Palace Foundation to run Saturday sessions in the borough - and the Premier League Kicks project was then launched at a site in Canterbury Road in 2006. "There were a lot of gang-related problems around the area," Michael said. "People wouldn't want to work there, kids didn't want to come in the park. A lot of intimidation was going on. The first session we had, I think we had about six kids, and people weren't happy. "Then an incident took place in there and it was sorted out, and the people who were responsible were moved away. "The younger ones started coming in and their siblings started coming. We'd made it into a safe environment where, if you were smoking cigarettes, smoking drugs, selling drugs or drinking on the pitch, we'd just tell you to get out. "It was like their youth club. We used to do it on a Monday, Friday and Saturday. We had three nights, and it ballooned from seven kids to 120 kids a night. We used to check the register and there were kids coming from all over London just to come and play football. "You had the odd few bad moments - it's going to happen - but most of the time it was very calm. Everybody was relaxed, had fun and played football." A 14-year-old Wilfried Zaha, who lived five minutes away, was one of the youngsters who turned up and took part, with his brother and sister. 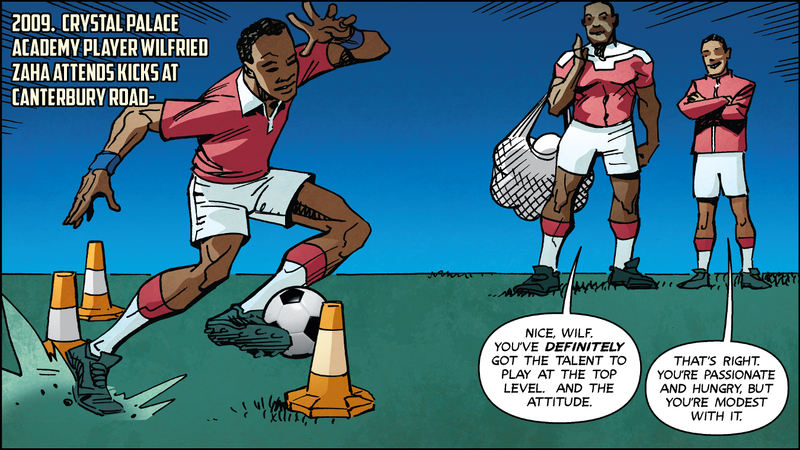 "We used to play half a pitch with 20-a-side," said Michael, who has been named Crystal Palace's PL Kicks Hero and was presented with his own comic strip by Wilfried himself. "He was a smart guy. I used to say 'go in the middle' and he'd say 'I'm not going in there, you're mad'. So he'd be on the edge all the time, doing the wing work. "There was a younger lad called Jerome [Binnom-]Williams - he used to be at Palace too. Wilf was on the right and he was on the left, and it was just carnage with those two going up and down. But we'd never put them on the same team because [the other kids would say] 'no, you can't play together!'" While a host of adolescents have benefited from Michael's coaching, passion and dedication, he feels he has also learned valuable lessons from his role. "It's helped me to understand young people a lot more," he said. "If a young person comes to me I always look to listen to them. "When someone comes to you, there's a story they want to tell you. They might not tell you the story directly but there's something they want to get across to you. "We saw kids coming with social issues - drug-taking, alcohol, kids being beaten by parents. A lot of that stuff was going on. "It opened my eyes to a lot of things. What we're doing here is a lot more than just being a football coach."